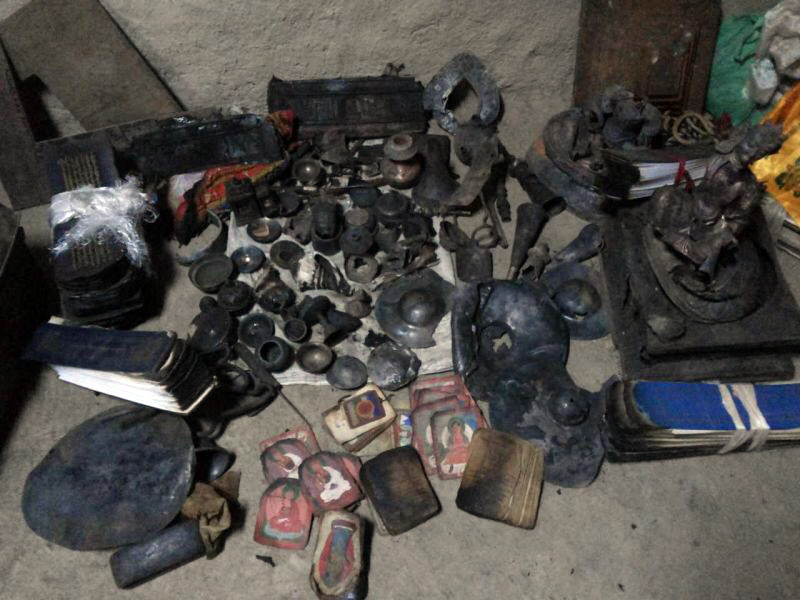 On March 8, 2016, the Yungdrung Bön temple of Deden Püntsok Ling, located in Dolpo, Nepal was completely destroyed by fire. This temple complex is located in the Sip Chok area of Dho Tarap and is commonly referred to as the Sip Chok Gompa or the Bön Tarap Gompa. The temple is run by the Yangton family and is headed by a Yangton lama. He is a householder and tantric practitioner. Responsibilities for the temple are traditionally handed down to sons, nephews or grandsons. 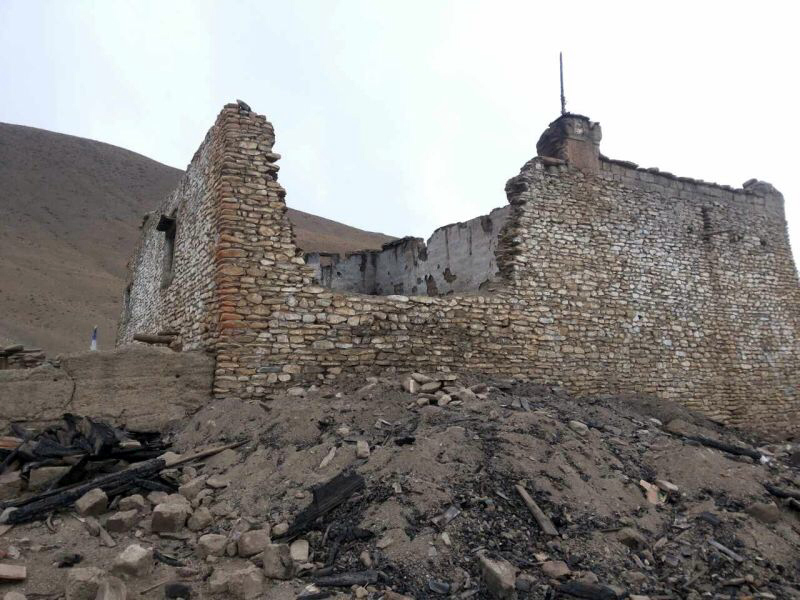 Because the head lama’s house is located some distance from the temple, the fire was not noticed until the flames were visibly engulfing the structure. Everything was destroyed. In addition to the many ritual items such as sacred masks and drums, the temple contained many old, handwritten scriptures. Some of these old scriptures had been written with ink of gold. 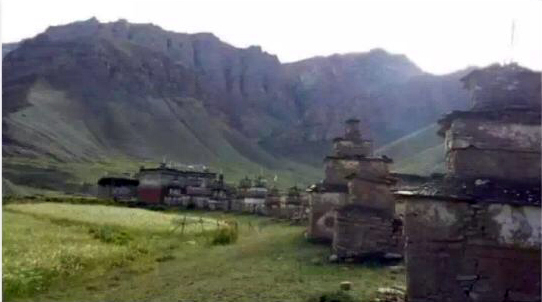 This village is a mix of Nyingma and Yungdrung Bön families. Although the Bön families are greatly outnumbered, there is a good relationship between the two religions. However, the Bön families have fewer resources to draw upon. 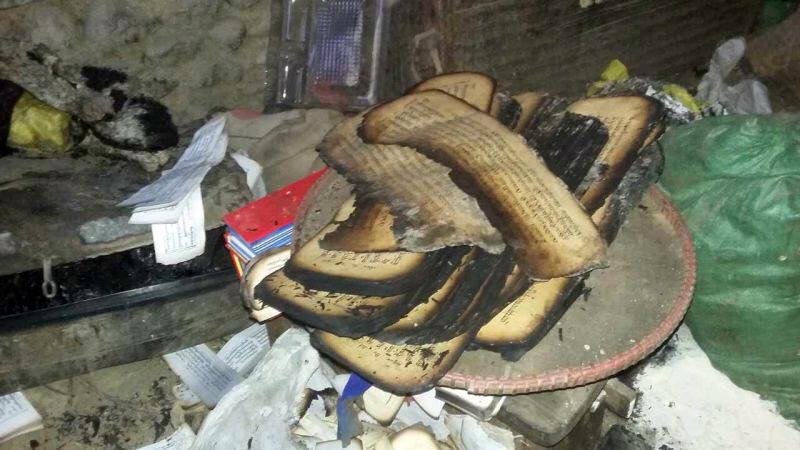 One young member of this Yangton family received his geshe degree last year and is doing his best to organize reconstruction of the temple and restoration of the many sacred texts and ritual items. In addition to the long range goal of building a new temple and replacing statues and thangkhas, the immediate urgency is to acquire enough basic ritual items and texts so that needed rituals and religious services can be performed for the villagers. The Sip Chok Bönpo community is very saddened by this great loss and are open to any support from the worldwide Bönpo sangha. If you are interested in aiding this recovery process in any way, please email Raven at RCW108@gmail.com and you will be given direct contact information for those organizing the restoration. Posted on March 27, 2016, in Dolpo, Nepal, Uncategorized, Yungdrung Bon Monasteries. Bookmark the permalink. 4 Comments. I am deeply saddened to hear of the loss of this temple! In the future I hope to travel to this area. I will keep the lamas and towns people in my prayers. May the reconstruction be blessed. I want to express my deepest sadness about this horrific fire. And if I may I would like to ask, if it is already proven, who did this. This is not right that such an awfull thing happened. I wish there is someone who brings the causing person, who did this to the right judgement, and furthermore that this place can be rebuilt soon because it is so special as I think for real. So I will definetily meditate for the quick returning luck. To all the people who are living around the temple / monastery and in it, from the bottom of my sad and shocked heart, I like to wish you all the best. Be at peace, I think you deserve it. Greetings from Dortmund / Germany, Frank Schauer. The fire was an unfortunate accident.